Disciplines & Disruption (Nov. 2-4, 2017) initiates a dialog about the state of the discipline of architecture and the impact of technology in shaping or disrupting design, methods and cultural fronts. For the past 30 years, distinctive advancements in technologies have delivered unprecedented possibilities to architects and enabled new expressions, performance, materials, fabrication and construction processes. Simultaneously, digital technology has permeated the social fabric around architecture with broad influences ranging from digital preservation to design with the developing world. 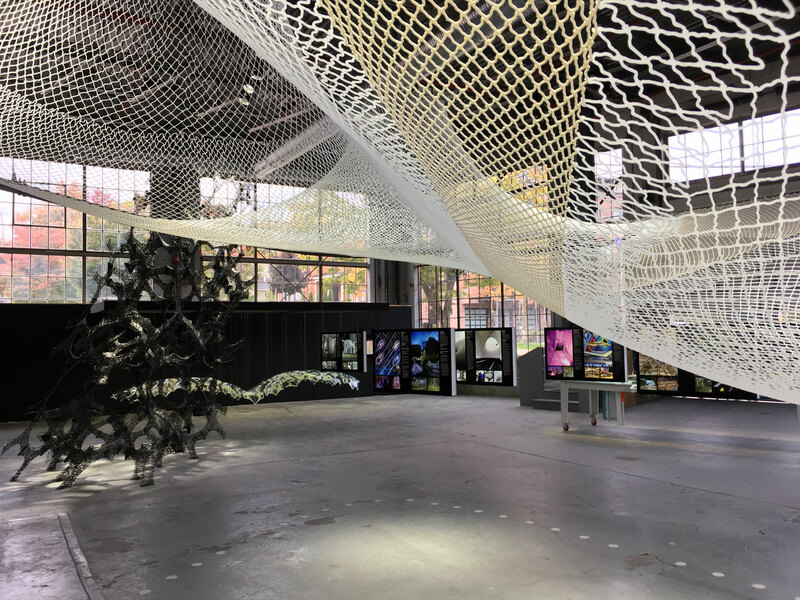 Driven by technological, data and material advances, architecture now witnesses the moment of disruption, whereby formerly distinct areas of operation become increasingly connected and accessible to architecture's sphere of concerns in ways never before possible. Distinctions between design and making, building and urban scale, architecture and engineering, real and virtual, on site and remote, physical and digital data, professionals and crowds, are diminishing as technology increases the designer's reach far beyond the confines of the drafting board. This conference provides a platform to investigate the shifting landscape of the discipline today, and to help define and navigate the future. About ACADIA ACADIA was formed for the purpose of facilitating communication and critical thinking regarding the use of computers in architecture, planning and building science. The organization is committed to the research and development of computational methods that enhance design creativity, rather than simply production, and that aim at contributing to the construction of humane physical environments. A particular focus is education and the software, hardware and pedagogy involved in education. Visit the main ACADIA website for more information. View this link for the full schedule for Acadia 2017. Registration tickets are available here. In just a few days, ACADIA will host its annual conference at the University of Michigan’s Taubman College of Architecture and Urban Planning. Ahead of the proceedings, The Architect's Newspaper (AN) spoke with this year’s organizers, Geoffrey Thün and Kathy Velikov—both principals of Ann Arbor, MI- and Toronto-based RVTR and faculty at Taubman College—to get a preview of what to expect from this year’s impressive lineup. AN: The theme of this year’s conference is Data, Designers, and Cognitive Machines. What is a Cognitive Machine, and what makes this theme especially relevant in 2016? Cognitive machines are programmed with capacities such as sensing, recognition, decision-making, problem-solving, memory, or autonomous behavior. 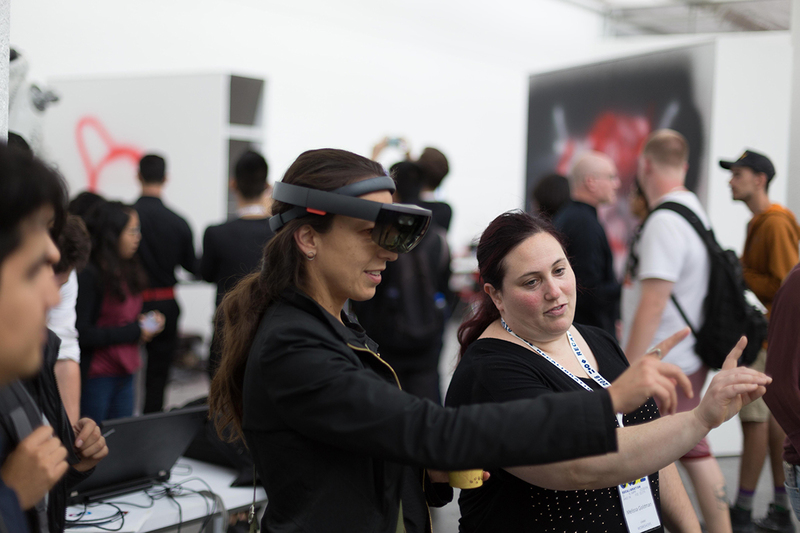 These are not only an increasing part of interactive and responsive built environments, but are increasingly part of the design process itself. Designers are finding ways to work collaboratively with these processes and procedures, and there will be a significant number of papers at the conference where designers are engaging design and fabrication through feedback-based, co-generative approaches using computational tools. How would you characterize the range of work you expect to see from the presentations? Are there any ideological opponents, or ongoing debates for attendees to watch out for? 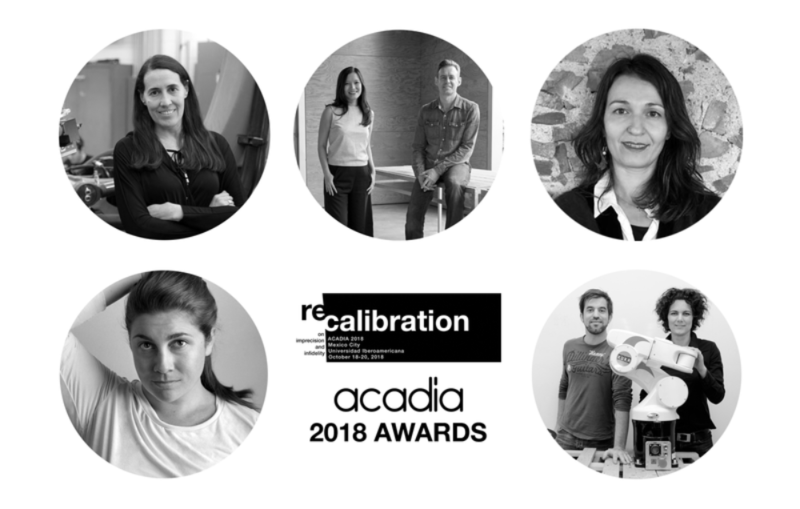 The conference will feature cutting-edge computational design work from around the globe: ACADIA is really an international community, and we’ll have amazing work from North America, South America, the UK, Europe, Asia and Australia. 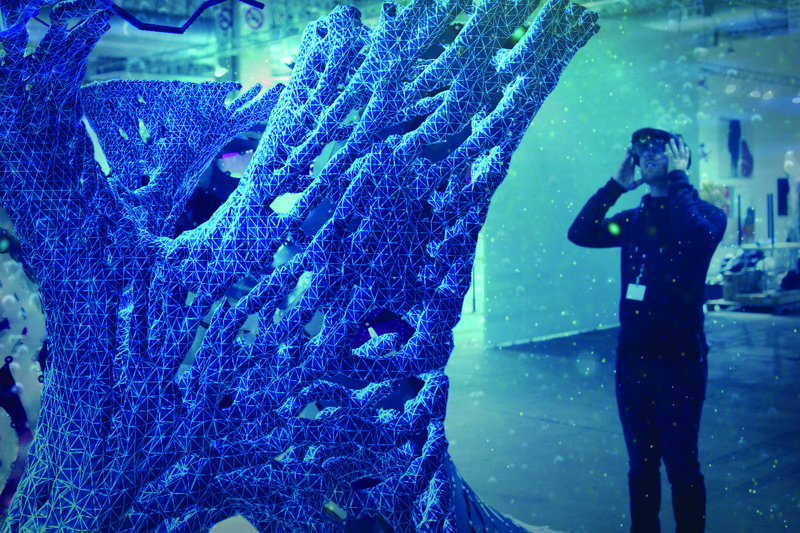 Presentations will range from algorithmic design to robotic fabrication to human-robot collaboration, to interactive design, to synthetic bio-digital material research. Debate will abound—the climate of ACADIA is a respectful one, less confrontational than some venues, but it’s not a good conference unless there’s at least one heated debate, and we’ll see where exactly that will emerge. We expect that Neil Leach’s paper presentation will produce some ideological frictions. I understand that hosting the conference at Taubman College has afforded some opportunities in terms of both facilities and faculty. How did this shape this year’s offerings or conversations? The faculty members of Taubman College co-chairing the conference have been active members of the ACADIA (and broader digital design/computation/fabrication/ robotics) community for years, so hosting this conference is very meaningful to us. The Posthuman Frontiers exhibition, which is running in tandem with the conference, features large-scale interactive installations by Taubman faculty, as well as the jury-selected projects submitted to the conference. The workshops—taking place in the three days prior to the conference—benefit from the amazing fabrication facilities we have in the FabLAB. Participants will be using the digital knitting machine, possibly all five Kuka robots, the five-axis milling machine, and the digital classrooms in the Duderstadt Center. Attendees will be able to see presentations in some great spaces on the campus—Elizabeth Diller’s keynote, the Philip Beesley and Iris van Herpen lecture, and the main conference proceedings will be held outside Taubman around Ann Arbor. We’ve made an effort to knit many of the events into the town’s fabric, and to connect the proceedings with that broader community of the University of Michigan, so the key evening public lectures and events will be open to the broader public and we hope to engage them with some of the questions and obsessions of the ACADIA community. This year’s ACADIA conference, entitled "Post Human Frontiers: Data, Designers, and Cognitive Machines" will focus on design and research that lies at the “intersection between procedural design, designed environments and autonomous machines.” ACADIA, the Association for Computer Aided Design in Architecture, has recently announced it keynote line-up, which includes Elizabeth Diller, who will be accepting a Lifetime Achievement Award from the conference. The conference, which will run from October 27th through the 29th, will be held at the University of Michigan Taubman Collage in Ann Arbor, Michigan. 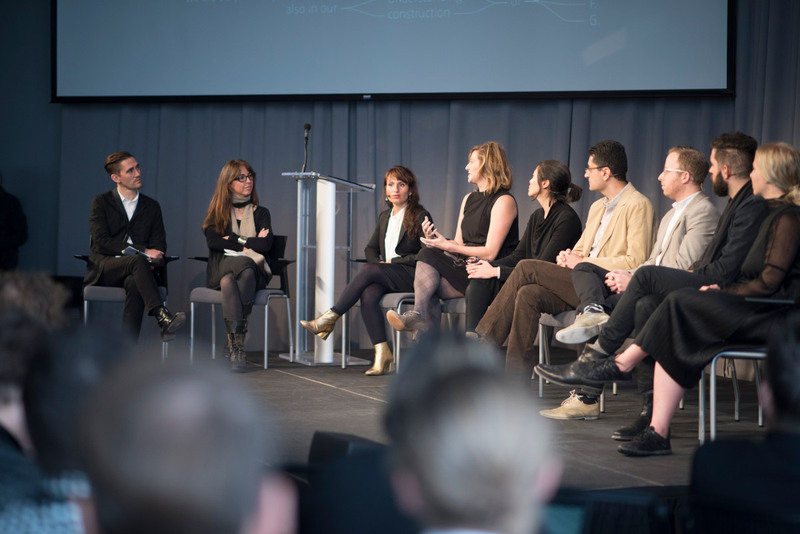 The keynote speakers will range from academics to practitioners, each bringing their own perspective on the state of the growing field of autonomous machines for making architecture. Four keynotes will discuss their recent research and practice in the field of computer-aided design. 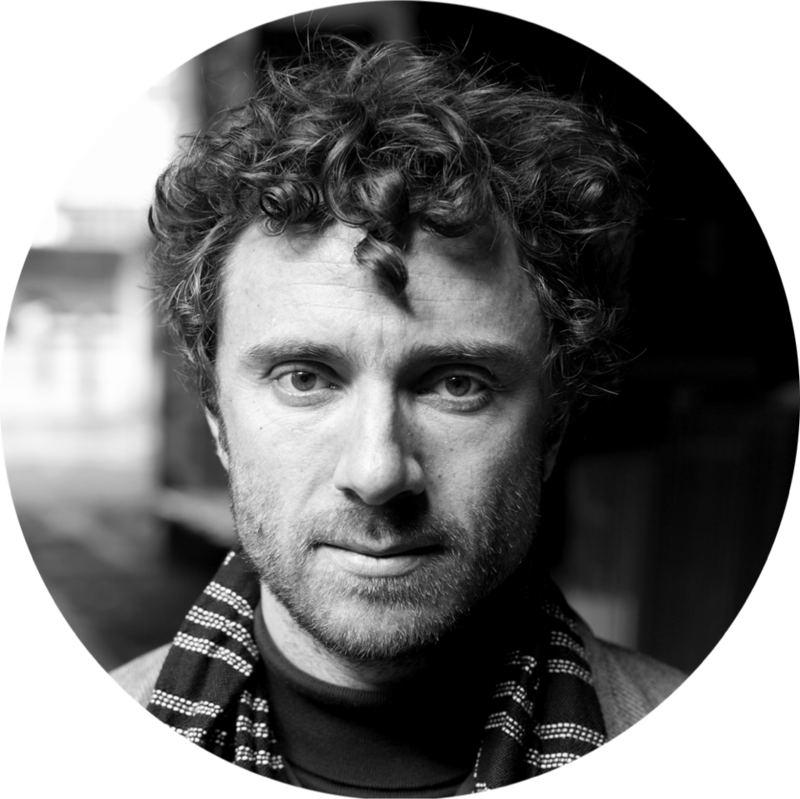 Speaker Mario Carpo, Dr.Arch, PhD, HDR focuses his research on the intersection of architectural theory, cultural history, and the history of media and information technology. Iris van Herpen’s talk will explore her Haute Couture digital fashion, and the relationship between craftsmanship and innovation. Visual artist and architect Philip Beesley, MRAIC OAA RCA will continue the discussion of digital fabrication and design, looking at Beesley’s association with the Living Architecture Systems Group (LASG). LASG is an international consortium of academics, institutional, and industrial partners developing building techniques that have the qualities of living organisms. Director of the Architectural Association’s Design Research Lab (AADRL), Theodore Spyropoulos’s work looks at the intersection of form and communication. Elizabeth Diller, founding partner of Diller Scofidio + Renfro (DS+R), will be awarded the ACADIA 2016 Lifetime Achievement Award and will give a keynote address. Keynote Schedule – Thursday, October 27th 1:30 pm – Theodore Spyropoulos Thursday, October, 27th 5:00 pm – Iris van Herpen & Philip Beesely Friday, October 28th 6:30 pm – Elizabeth Diller Saturday, October 29th 6:00 pm – Mario Carpo For the full schedule of events go to 2016.acadia.org. The Association for Computer Aided Design in Architecture (ACADIA) has announced Elizabeth Diller as the recipient of their prestigious 2016 ACADIA Lifetime Achievement Award. The award is given to "exceptional architects and researchers who over the course of their career have made significant and innovative contributions to the fields of architecture and computational design." The highly competitive award was last given in 2014 to the late Zaha Hadid. Diller will receive the award at this year’s conference Posthuman Frontiers: Data, Designers, and Cognitive Machines, October 27-29 at the University of Michigan Taubman College of Architecture and Urban Planning. She will also deliver a keynote lecture during the conference on Friday, October 28 at University of Michigan’s Power Center for the Performing Arts. 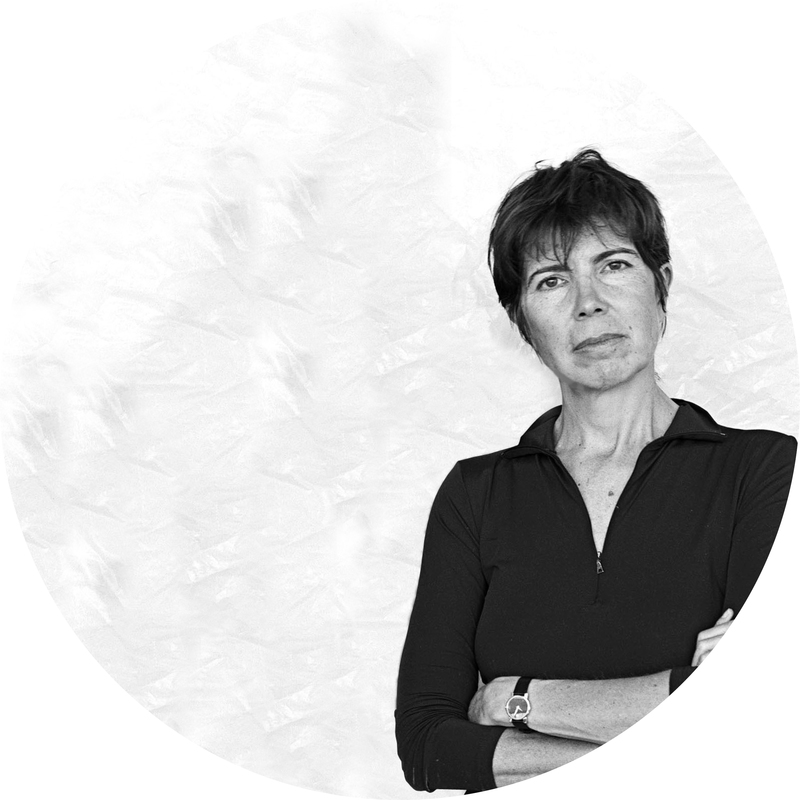 Elizabeth Diller is a founding partner of Diller Scofidio + Renfro (DS+R), an interdisciplinary design studio that works at the intersection of architecture, the visual arts, and the performing arts. With Ricardo Scofidio, Diller was the first in the field of architecture to receive the “genius” award from the MacArthur Foundation, which stated “their work explores how space functions in our culture and illustrates that architecture, when understood as the physical manifestation of social relationships, is everywhere, not just in buildings.” DS+R established its identity through independent, theoretical, and self-generated projects before coming to international prominence with two of the most important planning initiatives in New York: the High Line and the redesign of the Lincoln Center for the Performing Arts campus. 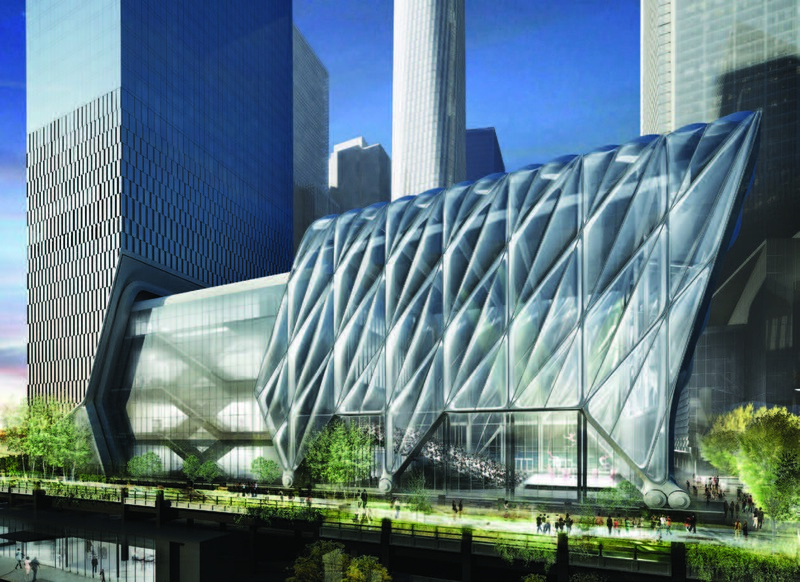 In addition to the nearly completed Columbia University Graduate and Medical Education Building, and The Broad museum in downtown Los Angeles, Diller is Principal-in-Charge of The Shed, a new center for artistic invention at the Hudson Yards, and the renovation and expansion of MoMA, both in New York. Diller graduated from the Cooper Union School of Architecture in 1979, and taught at the school from 1981-1990. She is a Professor of Architecture at Princeton University. Diller is a recipient of the Smithsonian Institution’s National Design Award, the Lifetime Achievement Award from the National Academy of Design, and the Brunner Prize from the American Academy of the Arts and Letters. She is a Fellow of the American Academy of Arts and Sciences, and International Fellow of the Royal Institute of British Architects. In 2013, Diller was awarded the Barnard Medal of Distinction, and DS+R was presented a Centennial Medal of Honor from the American Academy in Rome. Diller was selected by Time magazine as one of the “100 Most Influential People in the World.” The ACADIA Board of Directors specifically cited “Liz Diller’s pioneering work at the intersections of architecture, art, technology and philosophy. Her critical explorations over many years have integrated design, computation and theory into a radically inventive and culturally relevant body of work from installations to buildings to urban landscapes.” ACADIA President Jason Kelly Johnson said, "From the late 1980's to today, the work of Liz Diller and her studio Diller+Scofidio (now DS+R) has been at the forefront of exploring the spatial, material and generative possibilities of new media in architecture. 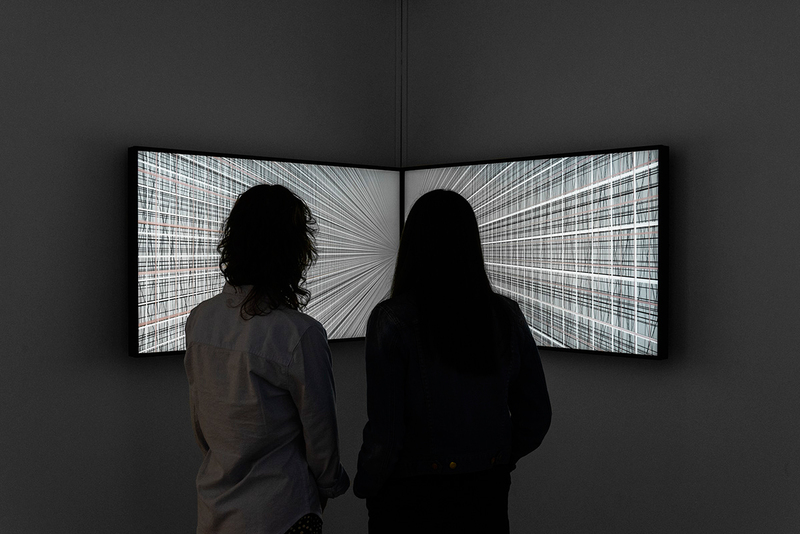 Their earliest experimental multi-media installations, including projects like Para-Site (1989), Slow House (1991) and Jet Lag (1998), set the stage for a substantial body of recent international built work like the Blur Building (2002) in Switzerland, the Broad (2013) museum in Los Angeles, and upcoming projects like the Museum of Image and Sound (2015-Present) currently under construction in Rio de Janeiro, Brazil."